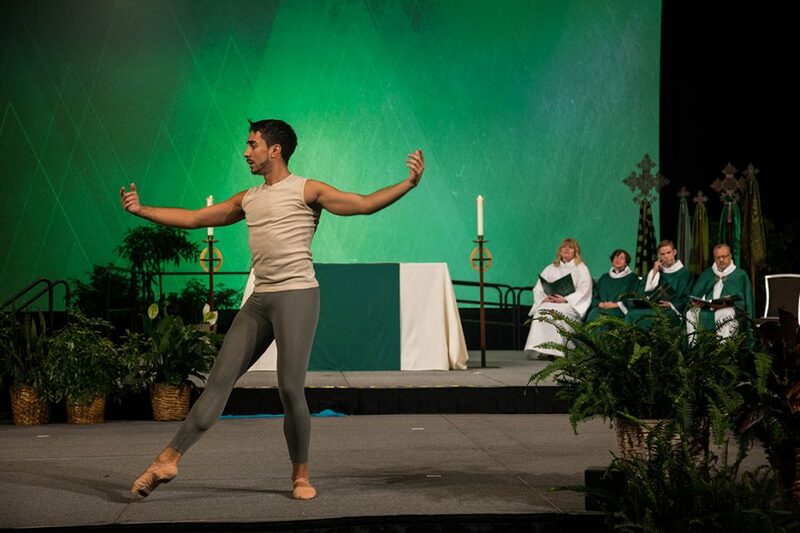 Worship featured interpretive dance. 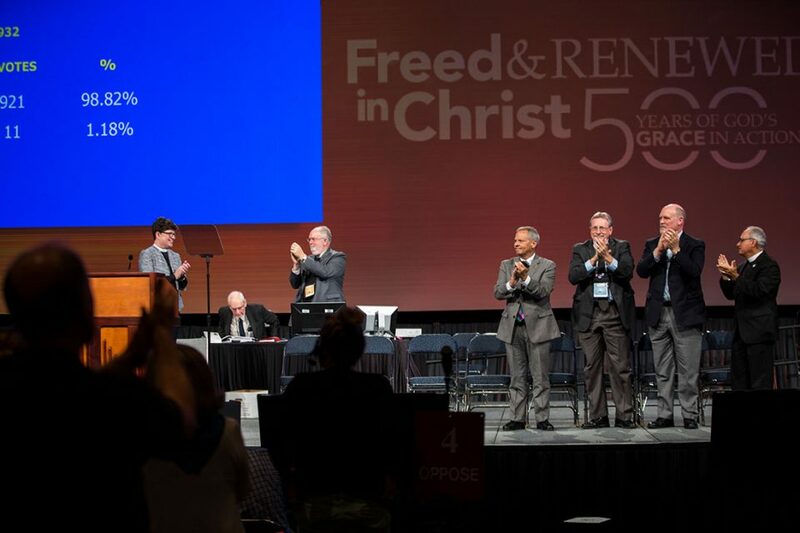 Pictured is Roberto Lara-Aranda from the Metropolitan New York Synod. 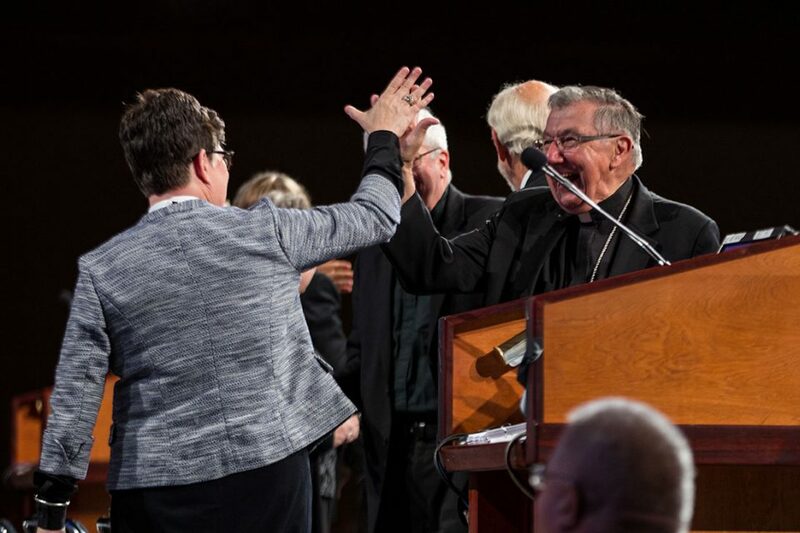 ELCA Presiding Bishop Elizabeth Eaton high fives Bishop Denis J. Madden, auxiliary bishop for the Archdiocese of Baltimore, and co-chair of the ‘Declaration on the Way’ task force after the assembly voted to accept the “Declaration on the Way,” a unique ecumenical document that marks a path toward greater unity between Catholics and Lutherans. 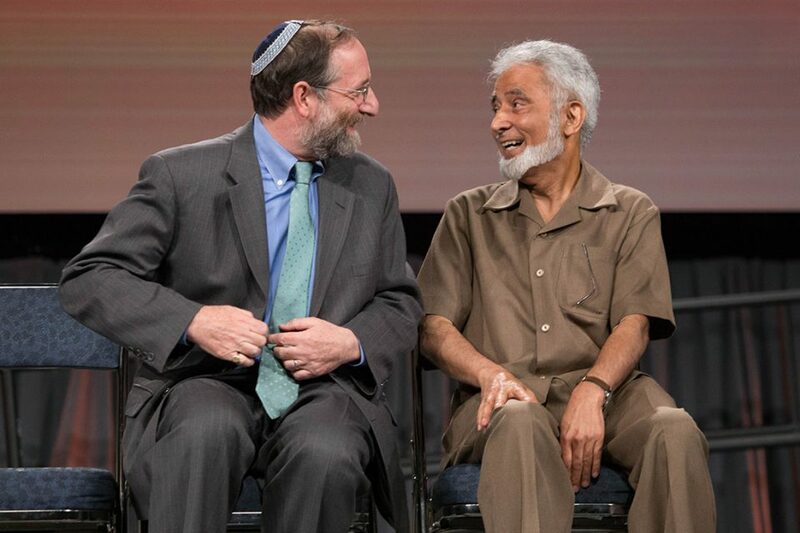 Rabbi Sandmel, director of interfaith affairs for the Anti-Defamation League, and Sayyid Syeed, national director with the Islamic Society of North America in the office of Interfaith and Community Alliances, brought greetings to the assembly. 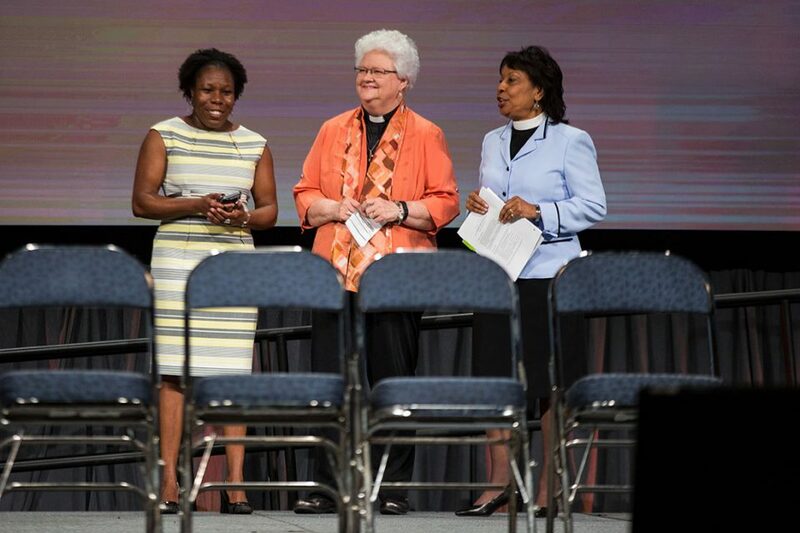 Linda Norman (left), ELCA treasurer; Vicki Garber, chair of the Church Council’s Budget and Finance Committee; and Wyvetta Bullock, ELCA executive for administration, introduced the 2017-2019 budget proposal. 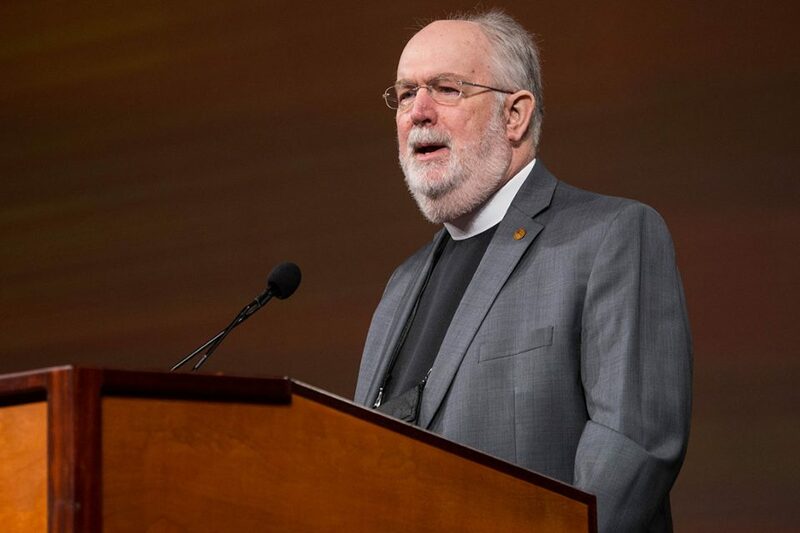 The assembly voted 895-23 to accept the proposal, which had been approved and recommended by the council. 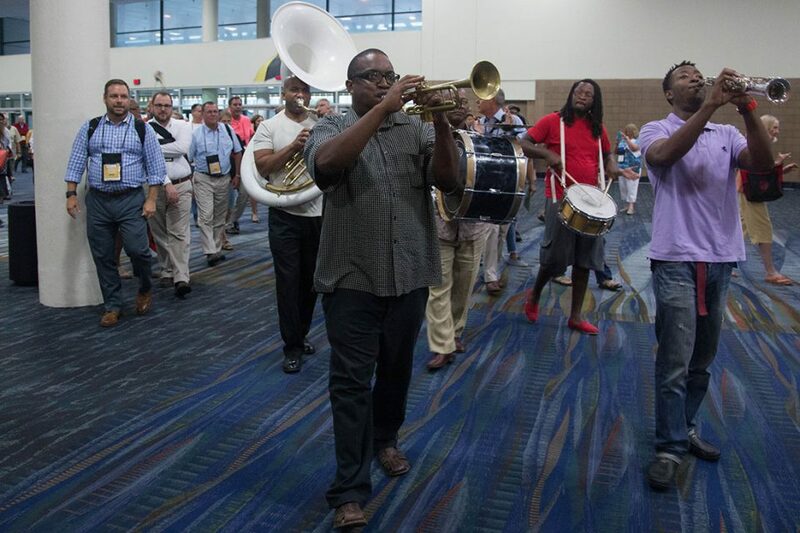 The Dixie Jazz Band performed at the end of the last plenary.